Finally, a customer review software that weaves in your review generation process right into your job workflow. Streamlining & automating your review processes right into your job workflow will give you the edge you need over your competitors to dominate your local market. Naturally, every customer is going to have some form of feedback regarding your services. The difficulty many companies face is getting customers to take time out of their busy day to provide you with that feedback. GorillaDesk’s Review Generation tools allow you to streamline this process and make it even easier for your customers to write reviews and for you to gain more reviews faster! Let’s take a look at the benefits and how these tools work. Accumulate more positive reviews faster than ever before. Streamline the review process into your job workflow. Allow customers to easily leave a review on the platform of your choice. Collect all customer feedback to help improve your business. Rank your business higher across local Search Engine Results. Access all your review feedback in 2 consolidated reports. All the magic starts with our Service and Likely Ratings. 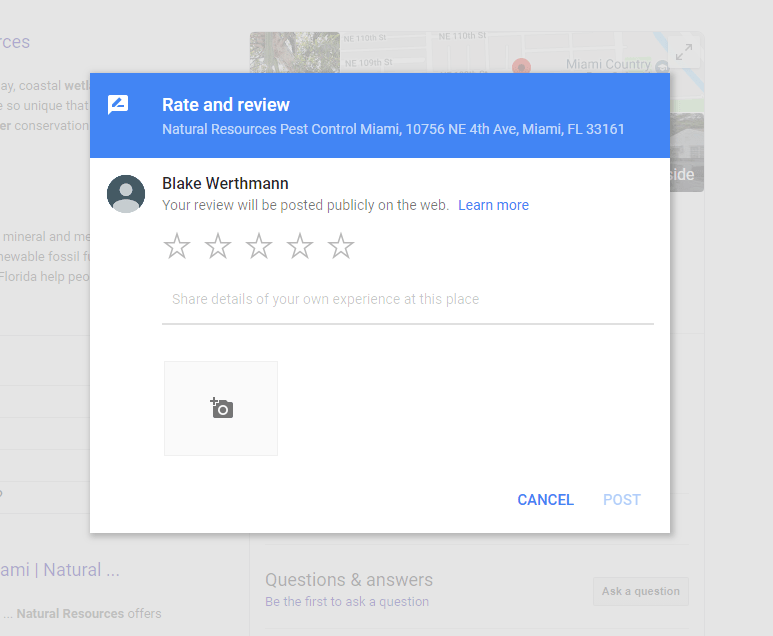 Let’s take a look at how your current customers can utilize our Review Generation tools. 2. Customers will also have the ability to rate their last service when they are logged into their customer portal. Clicking the highest 5 star rating will also redirect them to your specified review page. If the customer provides anything lower than a 5 star rating, it will not redirect them to your review page. 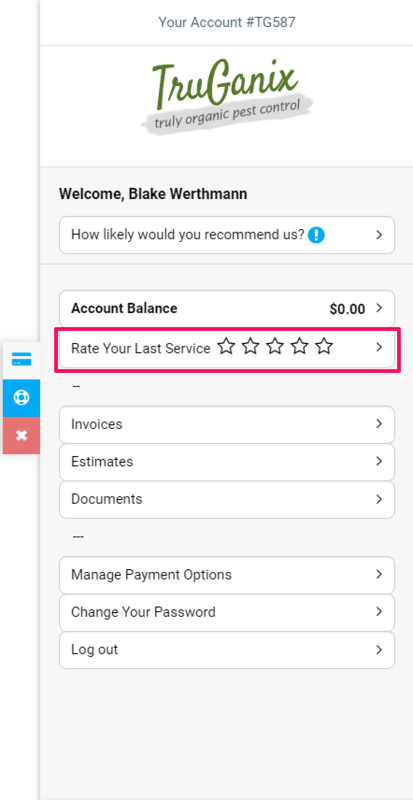 However, you can still access all of your ratings and feedback within a Service Rating Report. 1. Likely Rating short codes can be inserted into any of your emailed communications. Clicking 10 (The highest rating) will redirect them to your review page. 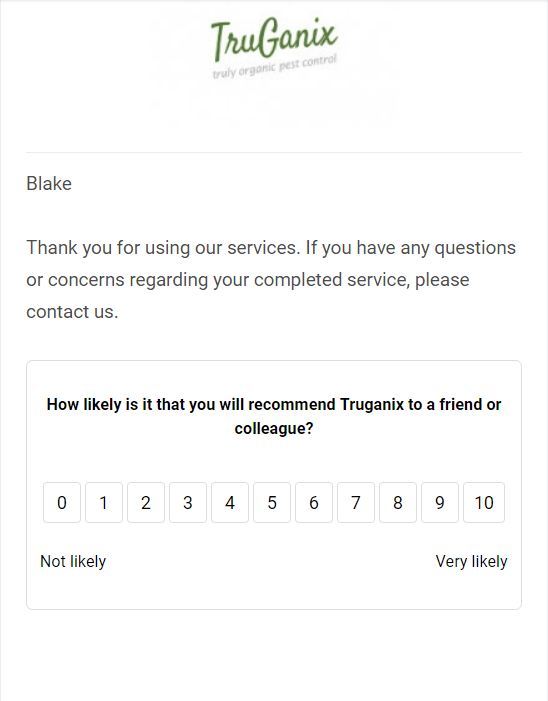 Much like the Service ratings; If your customer gives you anything less than the highest rating it will not redirect them to your review page. Rather, all feedback will go into a Likely Rating report which can be accessed at any time. Accumulating online reviews is a great way to draw attention from potential customers and give you an edge over the competition. With a little help from GorillaDesk, you’ll be well on your way to reaching that 5 star rating you deserve! 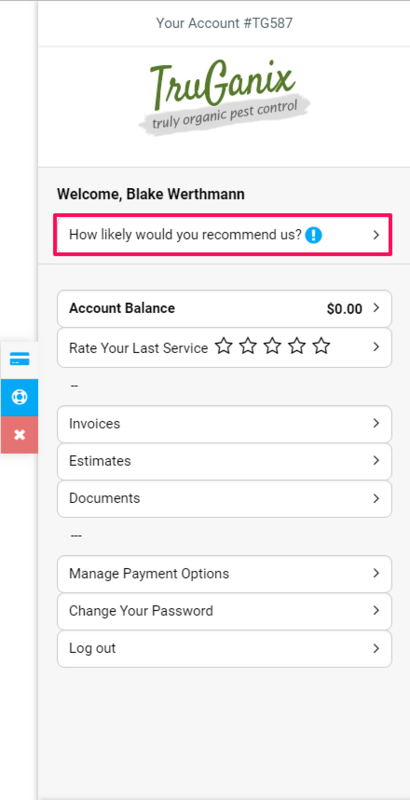 What plan do I need to have access to the Review Generation tool? The Review Generation functionality is only available to Pro Plan users. Do I need to have a website to utilize the Service and Likely Ratings? You do not need a website to use Service and Likely Ratings. Your customers can access the links in your emailed communications or in their customer portal. 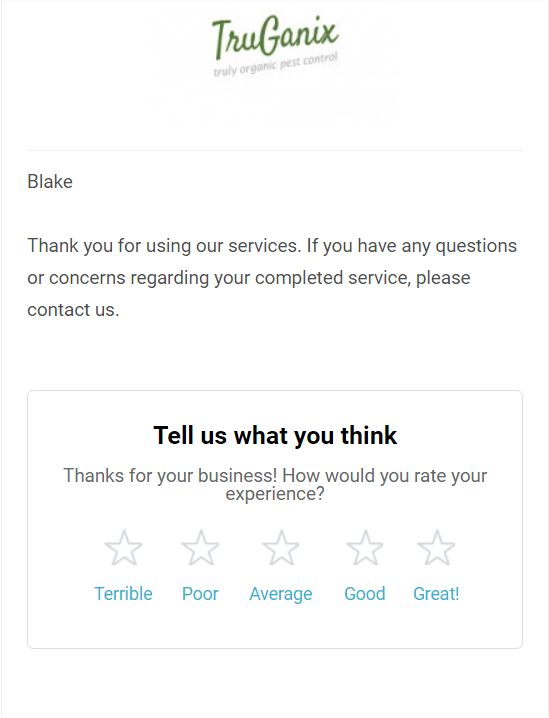 What If my customers give me a poor rating? Only the highest ratings will redirect your customers to your review page. All other ratings are accessible in a report in GorillaDesk. Reviews are beneficial to both your business and your customers. They provide insight that can be utilized to help your business grow and enhance customer service. Positive reviews will also help prospective customers during their decision making process.